PIKETON--On January 17, 2018, Fluor-BWXT Portsmouth (FBP) employees reached a new safety milestone by surpassing 2 million work hours without a lost-time injury. 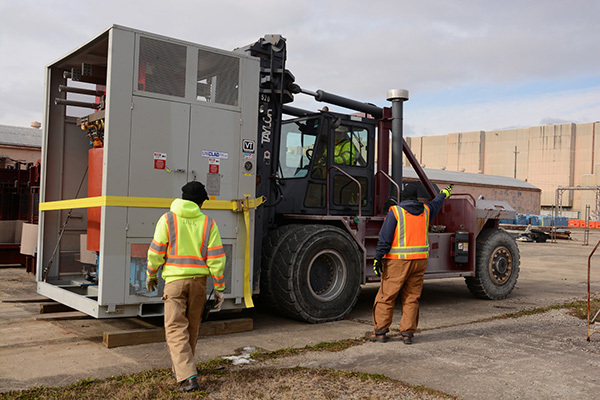 This safe work hour run started last July and occurred during the ramp-up of field work at the Department of Energy Portsmouth Site in Piketon. The work includes construction of the X-333 Material Sizing Area (where process gas equipment larger than an elephant is being cut into smaller pieces) and the final deactivation work within the 30-acre X-326 process building. Fluor-BWXT Deputy Site Project Director Jeff Stevens believes the key to improving safety awareness and communication is increased worker involvement. “The FBP management team recognizes and thanks each member of our PORTS team for achieving 2 million safe work hours--proving our team places the highest value on safety in doing our U.S. Department of Energy (DOE) Site mission work,” Stevens said. With approximately 2,000 employees, FBP’s DOE project workforce logs almost a million work hours every three months. Fluor-BWXT Portsmouth’s goal remains “zero incidents,” with a highly skilled and dedicated workforce continually focused on maintaining situational awareness and doing work safely. Bob French is the director for FBP’s Environmental, Safety & Health organization. “I thank and congratulate all FBP Portsmouth employees for achieving this impressive safe-work-hours milestone for the second time in the last year,” French said. 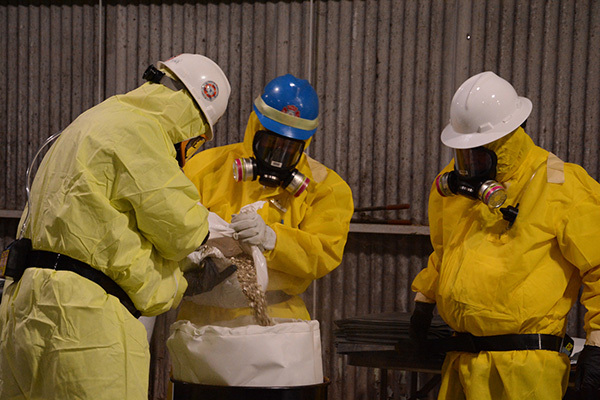 Fluor Corporation (NYSE: FLR) and BWX Technologies, Inc. (BWXT) (NYSE: BWXT), two world-class companies with significant Ohio experience, formed FBP to address the decontamination and decommissioning (D&D) needs at DOE’s Portsmouth Site in Pike County, Ohio. CH2M, another global leader in industrial and environmental projects, provides support. Fluor-BWXT Portsmouth employs 1,900 workers who bring unparalleled experience, insights, and lessons learned from across the DOE complex. The FBP mandate is to clean up the Portsmouth Site safely and compliantly, provide strong uranium stewardship and partner with local communities to achieve a sustainable economic future. For more information, visit www.fbportsmouth.com.